Leon Rolls, president of Progressive Blacks in ICT. The South African ICT sector is being dominated by white monopoly capital, leaving black people marginalised. 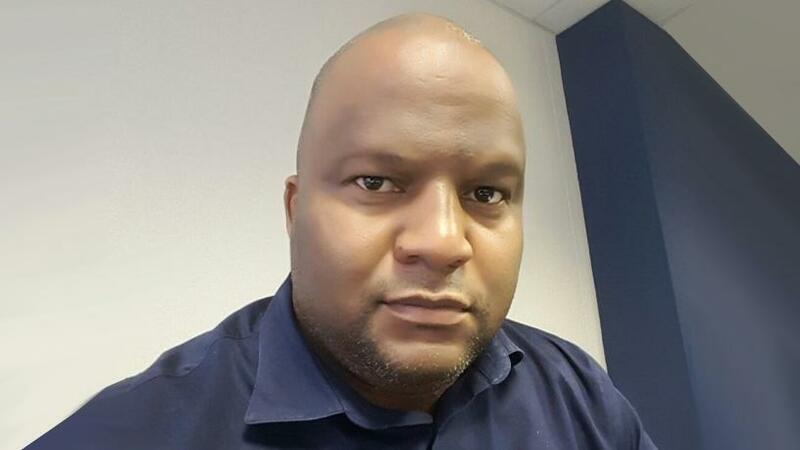 This was the word from Leon Rolls, president of Progressive Blacks in Information and Communication Technology (PBICT), who spoke at the SMMEs in ICT and Expo Summit in Sandton yesterday. Rolls is a former member of fellow lobby group, the Black IT Forum, before launching PBICT in March 2017. The PBICT says its mission is to ensure black people have full access to the ICT sector. It aims to unite all the South Africans in the ICT sector, who subscribe to the radical economic transformation agenda and to create an enabling environment which gives black people a minimum of 70% of the mainstream economic opportunities in the sector. During his speech, Rolls decried SA's digital divide, which he said was present from the apartheid era and is still visibly evident today. The firebrand Rolls vented his frustration towards virtually all the country's big privately-held ICT companies as well as government for perpetuating and failing to do enough to bridge the digital divide. "You cannot claim to be in the ICT sector today when you do not understand a single thing about the digital divide. When you claim you are championing the ICT sector and you don't know about the digital divide, you are a sinner and you need to be baptised," he started. "The rot and the decay about the digital divide existed during apartheid and after apartheid and we did nothing about it. We say we want to transform the sector but if we are transforming the sector because we want tender opportunities, we are wrong." He noted that when the PBICT is talking about access and ownership in the sector, it is saying black people are tired of sitting and waiting. "We are tired of begging, we are tired of talking. What we are saying in regards to access and ownership is the time is now, and now is the time for it. "We are not apologetic about it. I am not going to apologise that there is a thing called white monopoly capital. It is there and it exists. I am not going to apologise to say that the apartheid regime left us with a big gap that created the digital divide which struck like a lightning rod in between our society." He made reference to the recent workshop organised by the Department of Telecommunications and Postal Services (DTPS) on the Electronic Communications Amendment Bill, where most mobile operators were against the wholesale open access network (WOAN) proposed by government. "We had the privilege to be invited to a recent DTPS event and the whole day they were saying 'we represent the industry, we want spectrum, this WOAN thing is never going to work because it didn't work in certain countries, this legislation is unconstitutional, we will go to the Constitutional Court'. "What I want to tell them [mobile operators] is don't tell us about your investors - your investors invested a few billions but our people are spending R147 billion every year in the telecoms industry. Who is the real investor in that case?" Rolls alleged black people spend R147 billion on operators' networks and that money goes to them. "If we were to build our networks, that R147 billion will come to us. When the legislation was written, it favoured them [operators] and they kept quiet and the very same Constitution was there. Why do they now have a problem when the legislation wants to favour black people?" He also took a swipe at SA's biggest mobile operator Vodacom, saying it was given a licence to operate a network and was given a mandate to go to the rural areas and build infrastructure. However, he said, the company did not build that infrastructure. Up until today, there are still some rural areas where there is no reception and that is wrong, he noted. Government's transformation initiatives in the ICT sector were also not spared in the rant. "We have government regulation that is supposed to balance and make sure the scale between the haves and the have-nots is tilted correctly. We've got BEE codes, triple BEE codes. All we do is change and add one B, one E and do all that nonsense. However, we continue to suffer when they are busy reviewing those things." However, he had kind words for state-owned entity Broadband Infraco, which he said allowed 30 SMMEs to be part of government's ambitious connectivity programme SA Connect. "Why don't we use the same model in other government departments? It's just about plugging in routers, switches and then to monitor. But you go and give it to a white company because you say 30 SMMEs across the country can't do that job. That is wrong. Why must we always fight?" According to Rolls, the digital space in 2017 was worth R59.6 billion but he questioned how much of it goes to SMMEs. "That's just on data on the Internet. It's our children that are using Facebook; and it's our children that are making WhatsApp video calls. Now the reality is that in the ICT industry, all the business goes to white-owned businesses," he alleged. "The leader of the revolution has identified the enemy, which is white monopoly capital. In our industry, there is what we call data monopoly which is a member of white monopoly capital. We need to understand that there is a digital monopoly which is also a member of white monopoly capital." Next in line was systems integrator Dimension Data. "You cannot have one company called Dimension Data owning everything on the Internet. You go on the Internet, you make one click, Dimension Data is making money - how much money are they making? We know that they own Internet Solutions and there are some Australians that are looking to buy it. "We know there was once an initiative when the state was planning to have government-owned data centres and they stopped that project and came up with Teraco. Now we are all at their mercy. "We know that if you go to the military, you will not find a single black person handling the communications of our military. We know the military depends on signal distributor Sentech and we know at Sentech there are no black people that are playing or fiddling with those microwaves. "We know that data just started disappearing after some people were fined in Nigeria and you want us to pay for it. Don't think we are fools."